I developed an interest in hearing and hearing loss at a very early age. 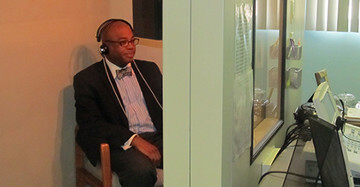 I was fascinated by how people hear and how people communicate when they can't hear. After volunteering at the Scranton State School for the Deaf, I pursued a Bachelor's degree in Communication Disorders at Bloomsburg University of PA. My Master's in Audiology was obtained at the University of Northern Colorado in Greeley, CO in 1991. When the AuD (Doctor of Audiology) degree became available, I wasted no time in working toward this new goal. 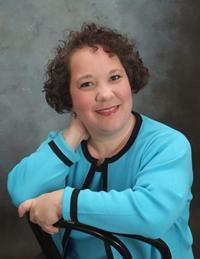 In 2004, graduated with my doctorate from the PA College of Optometry School of Audiology. Since graduating with my initial degree in Audiology, I was blessed with some excellent opportunities to continue learning and growing in my field. After working in an Ear, Nose and Throat Clinic, I went to work at Geisinger Medical Center in Danville, PA. The opportunities afforded to me at Geisinger included becoming a better diagnostician, becoming proficient at evaluating and fitting young children with hearing aids, and becoming a teacher. I had the privilege of teaching medical residents, nurses and future audiologists both at Geisinger and as a part-time professor at Bloomsburg University. Since 1992, my love for my profession and my desire to help people with the latest technology available has only grown. I hope it will continue to do so for many years! 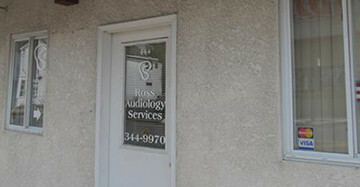 Susan began working at Ross Audiology Services in September 2012. She is a lifetime resident of Scranton and graduated from Scranton Technical High School in 1990. 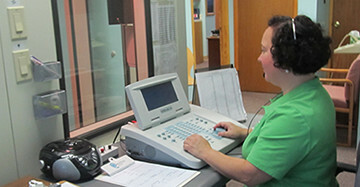 In early 2015, she completed the Audiology Assistant Program at Nova Southeastern University. She is very helpful and willing to assist patients with appointments, questions and help with the use of their hearing aids. When not working, she loves to spend her time with her husband, 2 sons and her dog!